A Great Listen! Perfect for a long trip too! 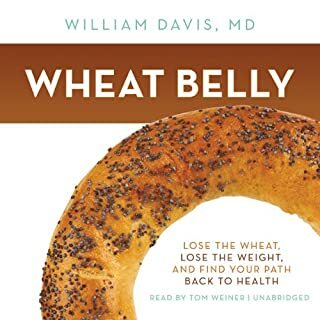 Would you consider the audio edition of Wheat Belly to be better than the print version? Yes. Easier to grasp the somewhat intricate explanation of blood sugar and how it reacts to foods. Yes, while driving from FL to NC. When we arrived in NC we cleaned out our pantry, changed our way of life and feel like a million bucks!